Prime Minister Viktor Orbán’s foreign affairs chief, Péter Szijjártó, said “It is clear that [European Commission First Vice President] Frans Timmermans and the European Socialists are following the orders of the Soros network and want to further intensify migration trends in the direction of Europe,” in response to comments from the eurocrat suggesting immigration should be organised rather than reduced. “Migration should be stopped rather than organised,” Szijjártó insisted at a press conference in Bucharest, Romania. “[T]aking together the migrants from sub-Saharan Africa arriving in North Africa and those in the Middle East, some 30-35 million people live in the direct vicinity of Europe who might decide at any point, due to their living conditions, to set off for Europe,” he warned. 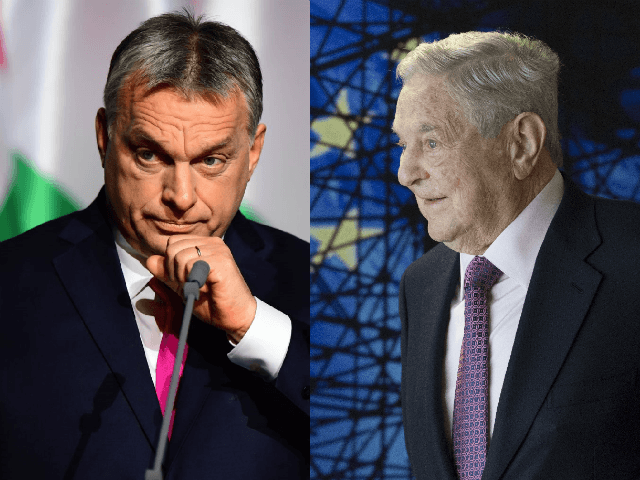 “It has become a mere campaign tool for the pro-migration, liberal left… It is becoming increasingly apparent, Prime Minister Orbán said in his radio interview last Friday, that George Soros is trying to expand his influence in European institutions,” he added, announcing that Hungary will not take part in an upcoming European Parliament debate in which the Central European country will be taken to task for various alleged transgressions. Prime Minister Orbán and his government have made it clear they envision the May elections to the European Parliament as an opportunity for rising anti-mass migration, pro-sovereignty movements across Europe to disempower the anti-populist, pro-immigration establishment which currently occupies the key posts in the EU’s central power structures.